So if anyone still wants archery lessons, the time to book is NOW before my retirement arrives. 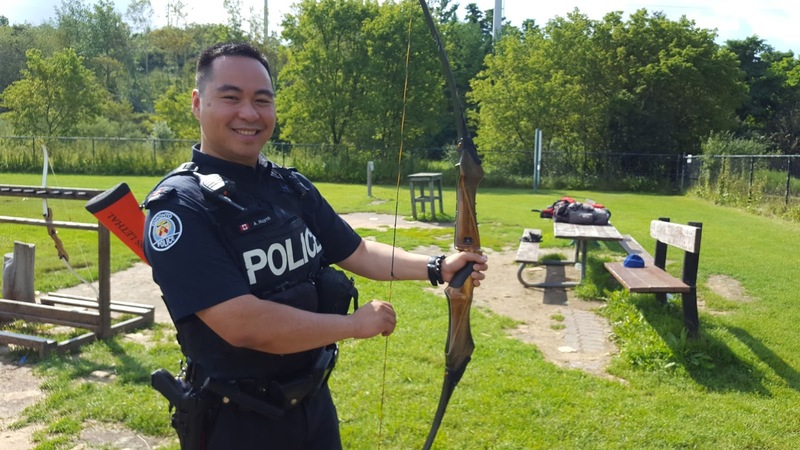 Below is a photo of a Toronto police officer who visited the Toronto Archery Range on August 18th and was checking out a vintage Bear Takedown Recurve Bow. 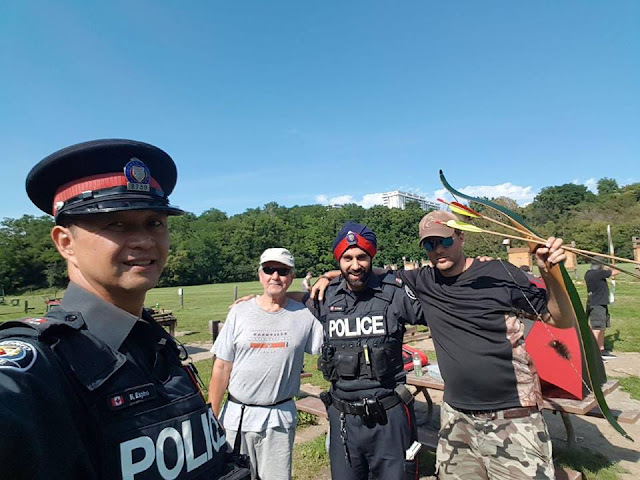 The Toronto Police were in the area looking for a homeless person with mental issues who is believed to be camping out in the park surrounding the archery range. The homeless person has been making threats and shouting at people. And yes, that is a shotgun slung across his back. That particular shotgun shoots non lethal bean bags in order to subdue targets. The two officers above said they were just patrolling the park, but I now have a hunch they were also there searching for the same homeless person. The homeless person is considered a threat because they keep shouting threats against people and making references to the terrorist organization ISIS.